What changes are happening in our business and how do they look? Do you know how to operate this new coffee machine? Why does every list has 3 items? Jokes aside, our urge to find change in environment predates cave drawing, slice bread and Tommy Lee Jones. 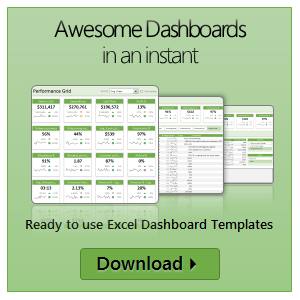 So, today let’s examine a very effective chart that tells the story of change and re-create it in Excel. Recently, I ran a contest asking you to analyze a bunch of sales data and present your results in charts. 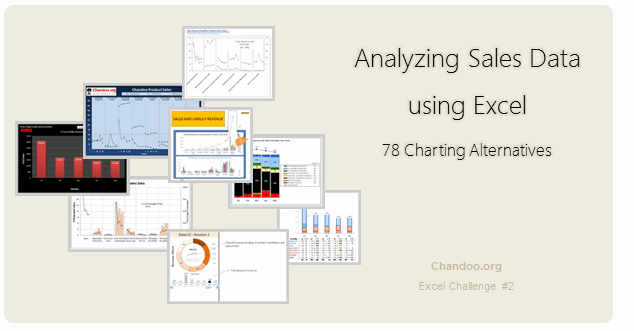 We received a total of 78 charts from 45 people. The contest entries had a mind-boggling variety of excel charts, techniques and ideas. It took me a while to go thru all the files and compile the results. Thanks for your patience. In this post, you can find all the charts along with my comments & links to download files. 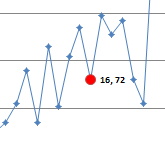 Introducing a method of allowing data points to be interactively highlighted in Excel Scatter / X-Y Charts and Line Charts. You will see a lot of these style charts in various places where you want to highlight various aspects of the chart to your audience. It is a great technique for complex scientific and engineering charts where you may have hundreds or thousands of points.